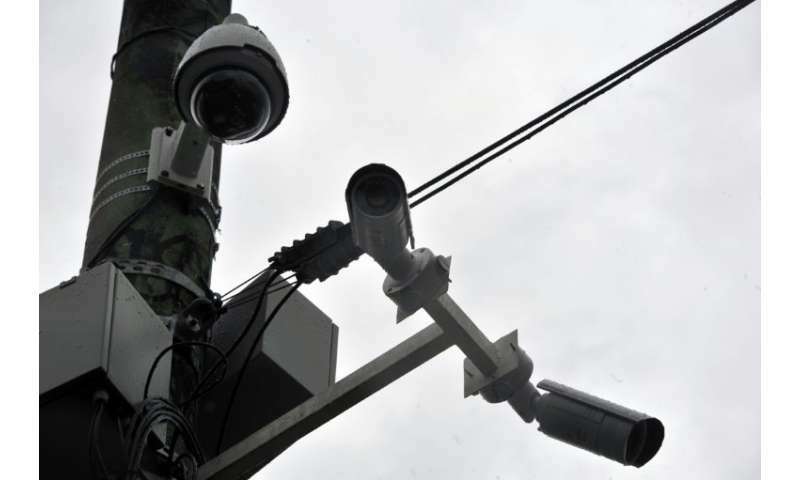 A tender to install 30,000 cameras will be launched soon, Wilson Witzel, who takes up the governorship of the southeast Brazilian state in January, told a media conference late Monday. "Security is our priority," he said. On Tuesday Witzel traveled to Israel to view drones that could be used to monitor armed drug gangs. O Globo, a Brazilian news outlet, said it understood the drones included combat versions capable of firing weapons, which could be used for targeting gang members in hard-to-access favelas, or high-density slums. The governor-elect was also reportedly to inspect Israeli-made cameras with face-recognition. Witzel's communications teams did not confirm details of the Israel visit when contacted by AFP. It said the "diverse activities" on his trip included "learning about drone technology." Witzel won Rio de Janeiro state's gubernatorial election on October 28 with 60 percent of the vote. He benefited from a far-right wave that swept Bolsonaro to the presidency. Like Bolsonaro, the former federal judge has vowed a crackdown on crime that plagues Brazilian streets. Rio de Janeiro state last year recorded more than 5,300 murders. Shortly after his election, Witzel stirred controversy by saying he intended to authorize police snipers to kills armed criminals even if they presented no threat to officers. In his media conference Monday, Witzel said he would invest heavily in security, regardless of the parlous finances of Rio de Janeiro state, which has been on the verge of bankruptcy for several years. Privacy died with the invention of recording devices. Behave yourself.